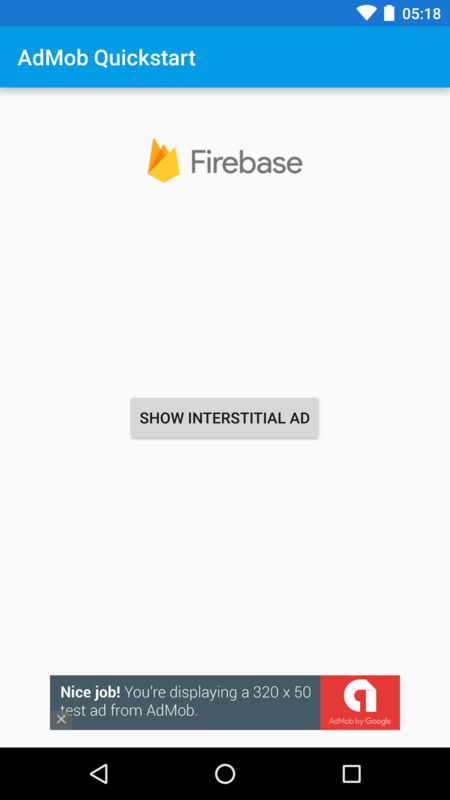 The AdMob by Google Android quickstart demonstrates how to display an interstitial ad and a banner ad. AdRequest and AdView are used to display a banner ad and InterstitialAd is used to display the interstitial ad. The running sample displays a test banner ad and a test interstitial add.